Optima NTEP 5x5 5K Pallet Weighing ScaleOptima NTEP 5x5 5K pallet weighing floor scales are designed to be affordable. 5x5 NTEP Legal for Trade warehouse floor scale with 5000 pound capacity features four high quality alloy steel load cells, an affordable price and is great for weighing freight, scrap iron businesses and many more applications. Price includes freight in cont'l US. Optima 4x6 Floor Scale 10,000 lbOptima 4x6 floor scales are designed to be affordable, but also designed to be reliable. 4x6 NTEP Legal for Trade warehouse floor scale with 10,000 pound capacity features four high quality alloy steel load cells, an affordable price and is great for weighing freight, metal recycling businesses and many more applications. Price includes freight in cont'l US. 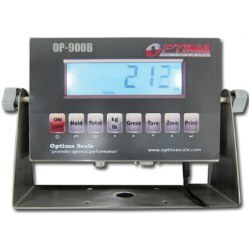 Optima 4x5 Digital Pallet Scale 10,000 lbOptima 4x5 digital pallet scales are designed to be affordable and reliable. 4x5 NTEP Legal for Trade warehouse floor scale with 10,000 pound capacity features four high quality alloy steel load cells, an affordable price and is great for weighing freight, scrap iron businesses and many more applications. Price includes freight in cont'l US. Optima 4x5 Floor Scale 5000 lbOptima 4x5 floor scales are designed to be affordable, but also designed to be reliable. 4x5 NTEP Legal for Trade warehouse floor scale with 5000 pound capacity features four high quality alloy steel load cells, an affordable price and is great for weighing freight, scrap iron businesses and many more applications. Price includes freight in cont'l US. Optima NTEP 4x4 10,000 lb Pallet ScaleIdeal for weighing freight, weighing pallets or recycling centers. 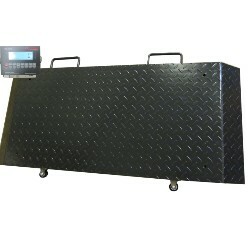 Our Optima 4'x4' 10,000 pound capacity floor scale features a heavy duty platform scale factory calibrated to a 115VAC powered Digital Indicator. There is 15 foot cable between platform and indicator. Simple and affordable. NTEP legal for trade. Price includes freight in cont'l US. Optima NTEP 4x4 5K Pallet ScalesOptima NTEP 4x4 5K floor scales are designed to be affordable, but also designed to be reliable. 4x4 NTEP Legal for Trade warehouse floor scale with 5000 pound capacity features four high quality alloy steel load cells, an affordable price and is great for weighing freight, scrap iron businesses and many more applications. Price includes freight in cont'l US. Optima NTEP 3x3 5K Floor ScaleOptima NTEP 3x3 5K floor scales are designed to be affordable, but also designed to be reliable. 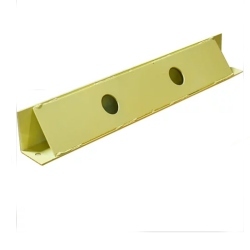 3x3 NTEP Legal for Trade warehouse floor scale with 5000 pound capacity features four high quality alloy steel load cells, an affordable price and is great for weighing freight, scrap iron businesses and many more applications. Price includes freight in cont'l US. Optima NTEP 2x2 5K Platform ScaleOptima NTEP 2x2 5K floor scales are designed to be affordable, but also designed to be reliable. NTEP Legal for Trade floor scale with 5000 pound capacity features high quality alloy steel load cells, an affordable price and is ideal for numerous applications around your business. Calibrated to LED Display Painted Steel indicator. Price includes freight in cont'l US. Optima OP-922 Veterinarian ScaleOP-922 is ideal for veterinarians, kennels, labs or anyone handling medium to large size animals. The removable stainless steel platform makes cleanup fast and easy, and the scale base can be positioned up to 10' away from the display. Rechargeable battery powered and have a power-saving automatic sleep mode. It comes in capacity of 1000 lb x 0.2 lb. Shipping included for continental US customers. Optima OP-920-2000 Portable Livestock ScaleOP-920-2000 portable livestock scale includes a 20" x 50" weighing platform that includes built in ramps. It comes in capacity of 2000 lb x 0.5 lb. Power is provided by 110VAC and rechargeable battery. Shipping included for continental US customers. 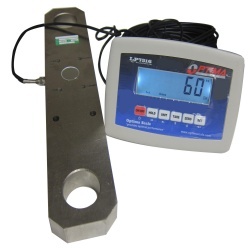 Optima OP-927 Hanging Tension Link Scale 50,000 lbOP-927 tension scale is designed to measure high capacity load for cranes, hoists and winches and used with customer supplied shackles. 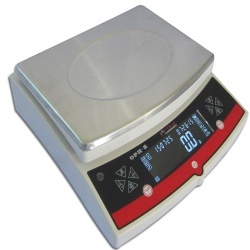 Available in maximum capacity of 50,000 x 20 lb and comes calibrated with an easy to read weight indicator with LCD display that shows both kg and lb readings. Ground shipping included for continental US customers. 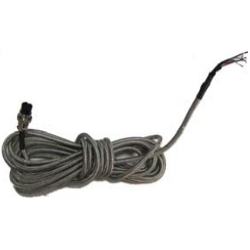 Optima Scale OP-410 Homerun Cable with ConnectorOptima Scale OP-410 connection cable (Home Run Cable) - approximately 18 foot long works with Optima Scale OP-900 / OP-901 digital weight indicators. Steel braided for extra protection. 5 pin plug. 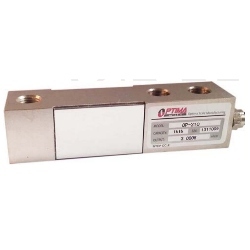 Optima OP-932 U-Beam ScaleThis portable heavy duty OP-932 weighing beam system represents a good solution for many applications where it is necessary to weigh: cages for animals, silos, milk tanks, small platforms and storage containers. 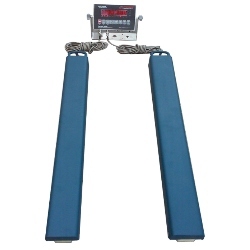 Portable, heavy duty carbon steel weighing beam system. Includes indicator with lb/kg. Integrated wheels and handles. 5000 x 1 lb. Price includes freight in cont'l US. 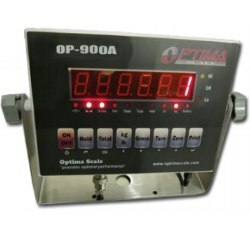 Optima OP-919-48-5K Weigh Beams 48" 5000 lbOP-919-48-5K Weighing Beams scale set is a versatile and very economical weigh bar system for heavy loads. 5000 lb capacity. 48 inch length per bar. Approx height 3.7". Power AC/rechargeable battery. Easy to Read display. Price includes ground shipping for cont'l US. Optima Warehouse Pallet Scale 4x4 5000 lbThis OP-916-4x4-5-NN is a basic entry level floor scale calibrated with digital weight indicator. The system is ideal for weighing pallets every now and then. The system is non ntep which means it is not NTEP approved and not legal for trade. 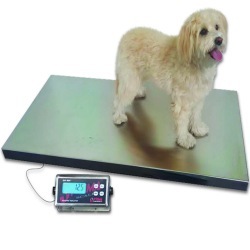 4x4 5K floor scales are designed to be affordable, but also designed to be reliable. Price includes freight in cont'l US to business locations with a forklift or dock. Optima Warehouse Pallet Scale 4x4 10,000 lbThis OP-916-4x4-10-NN is a basic entry level floor scale calibrated with digital weight indicator. The system is ideal for weighing pallets every now and then. The system is non ntep which means it is not NTEP approved and not legal for trade. 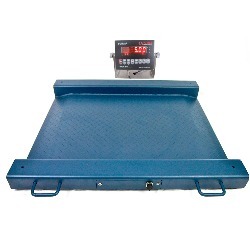 4x4 10K floor scales are designed to be affordable, but also designed to be reliable. Price includes freight in cont'l US to business locations with a forklift or dock. 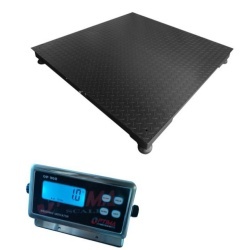 Optima 4x8 Platform Scale 10,000 lbOptima 4x8 floor scales are designed to be affordable, but also designed to be reliable. 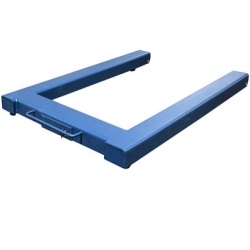 4 x 8 NTEP Legal for Trade warehouse floor scale with 10,000 pound capacity features four high quality alloy steel load cells, an affordable price and is great for weighing freight, metal recycling businesses and many more applications. Price includes freight in cont'l US. 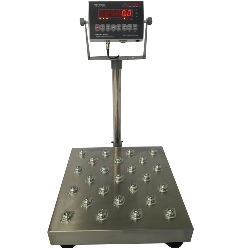 Optima 5x7 Platform Scale 10,000 lbOptima 5 x 7 floor scales are designed to be affordable, but also designed to be reliable. 5x7 NTEP Legal for Trade warehouse floor scale with 10,000 pound capacity features four high quality alloy steel load cells, an affordable price and is great for weighing freight, metal recycling businesses and many more applications. Price includes freight in cont'l US.